In today’s episode of Possible, Chris Ducker and I talk about reinventing things, specifically events. Chris took a tired entrepreneurial event model and turned it on its head to start the Tropical Think Tank, an event he’s run for three years now. Chris is one of the best, most genuine people I know. I met Chris at Problogger and then attended the last two Tropical Think Tank events in the Philippines. If anyone knows about turning impossible into possible, it’s Chris. He’s inspired me greatly over the past few years and it’s a pleasure to have him on the podcast today. If anyone knows about turning impossible into possible, it’s Chris Ducker. 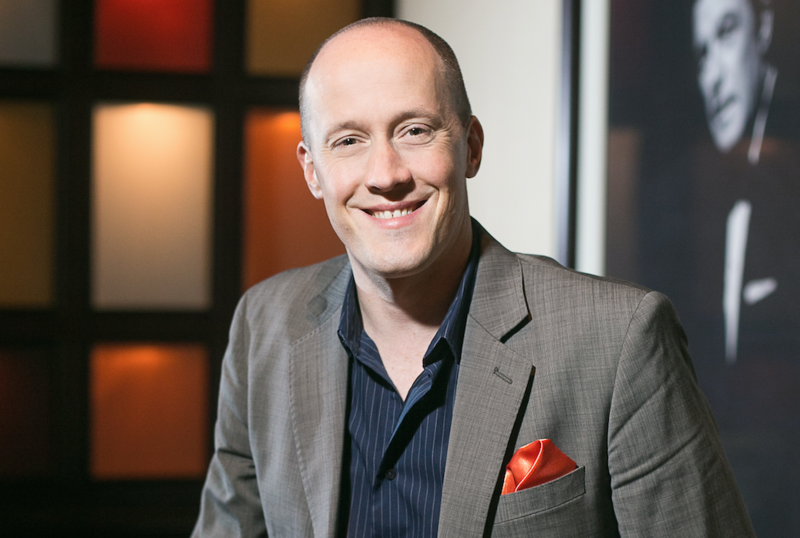 Chris Ducker is the author of Virtual Freedom and the founder of Youpreneur, a support and mentoring community for entrepreneurs who want to build strong personal brands. In 2010, Chris went from long days in the office and being burned out and in hospital to burning down the house with his energy, zest for life and sheer bloody-mindedness. He’s built many successful businesses over the years and since discovering the power of a virtual, digital workforce and making drastic changes to his life, he works no more than 6 hour days, travels the world speaking and runs one of the world’s most exclusive business events, The Tropical Think Tank. Entrepreneurs are lonely. We don’t get the opportunity to hang around with other like-minded people as much as we should. We find it hard to get ourselves out there and build, lifelong relationships with others. It really comes down to bringing people together and solving that entrepreneurial loneliness. I’m a big believer that your vibe attracts your tribe. At the very core of what I do, I just want to help people. People are very aware that when they come to my events, they’re going to have to work, roll their sleeves up and get results. Tropical Think Tank had a 47% return rate. One of the keys to running a successful event is to deliver on what you promise. 9 times out of 10, when you speak at an event, you’ll turn up. You’ll do your session and you’ll go home… But with Tropical Think Tank, you’re literally on an island for a week, so you conform to what the event is all about. When speakers tell you what a game changer the event was for their businesses, it puts a smile on your face. Surround yourself with people who want to change the world. Look for events that are within your grasp mentally, at this moment in time. Initially, you shouldn’t back too far out of your range. Because it will actually be a better experience for you if you are placed in an environment with people who are at the same stage as you are. I don’t hire sub-par people in the first place, and I’m blessed to be able to attract good people and because of that I’m quite lucky to have a solid team around me. You’ve got to put yourself in situations where you get out of your comfort zone a little bit. When you meet different people, your brain starts thinking in different ways, you start to see what’s possible. Quite frankly, unless I’m speaking at large events, I don’t attend them. Generally speaking, there’s too much noise at those events. Smaller events are where it’s at for me nowadays. Businesses are based on relationships, above and beyond everything else. Everything takes a back seat to building the right kind of relationships. Every business, particularly online businesses, I think it would be a good idea to focus in on having a personal brand element as a strategy for growth. I built all of my businesses on that P to P connection. It was a no-brainer for me to focus on building the Chris Ducker personal brand. It’s all down the fact that I truly do believe that I am building my businesses based around those relationships. Developing a personal brand and a strategy that surrounds that is no different to developing a product based brand or a service based brand. You’ve gotta figure out who your demographic is that you’re trying to target, you’ve gotta figure out what their pain points out, how to present the solution to their problems, how to package those solutions properly, and how you can best serve that demographic over and over again so that your business model is a recurring one. Everything I do business-wise is linked to chrisducker.com. It’s the hub and where I interact with everyone. You can help make it possible for more people access Possible. by subscribing to the show on iTunes and leaving a rating and review. I’d love for you to do and co-create a world of possibility with me! Thank you!!!! This blog post was created with a Podcast–Solo Show Writally Blog Post Recipe. Grab the ultimate blog post playbook here.